I'm a sucker for a practical outfit that simplifies style while still remaining current. With spring still in the air here in Montreal, I've rounded up my hits for spring that can easily carry over to summer, whenever it decides to come. It's easy, on trend and perfect for this mama on the go! 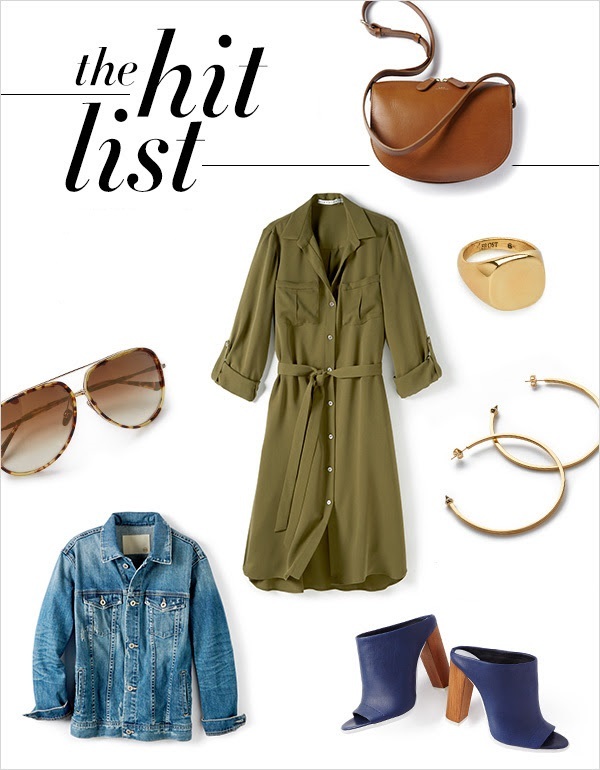 Shirt dresses is warm-weather friendly and perfect for every style type. Mules are comfortable, chic and super convenient to kick off! Saddle bags are the perfect accessory. They are not to big, ranging from small to medium size and are enough to carry everything you need without being bulky. Denim jackets have been around for years. It's the perfect accessory to have to complete a casual outfit and a must-have in every closet! What is on your hit list? Love the dress and jean jacket!! So need it!